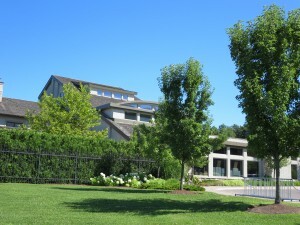 Tawse Winery in Vineland has been named Canadian Winery of the Year by Wine Access Magazine for three years in a row. 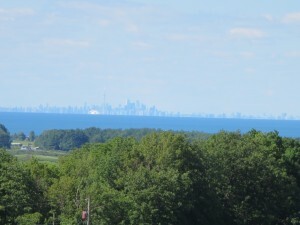 So, when I had plans to head toward Niagara this week, I contacted Laurie McKenzie, Hospitality Coordinator at the winery, to arrange a tour. I knew that Tawse is certified organic and biodynamic, so I didn’t need to see any of the sheep as proof. (Indeed, I didn’t see any sheep – they were off somewhere else in the sprawling vineyard. Only the chickens were around.) My main interest that afternoon was learning about the six-story gravity fed process they use. To get the full effect, Bianca walked me up and around the back of the sloping property to the crush pad. On the way we stopped to admire the view. 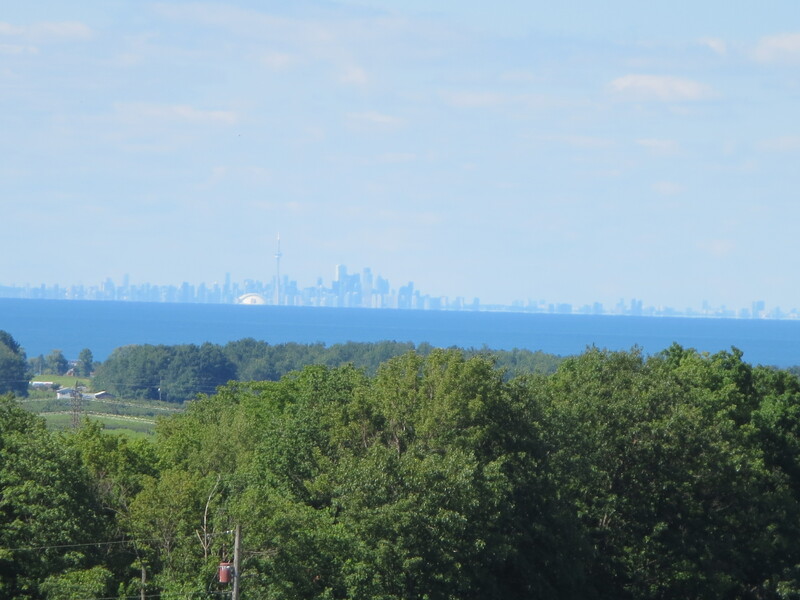 It was a lovely clear day, so the view of the lake and Toronto in the distance was spectacular. Though it seems high on the hill, the crush pad is basically “at ground level”. 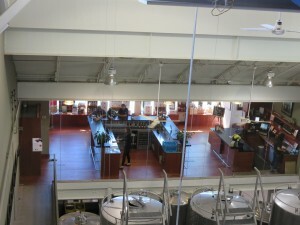 The winery production facilities are stepped down from there, which means they don’t have to use any pumping to move the wine through the production process. Eliminating the pumps means there’s less manipulation of the product, and generally less aeration. The tour takes you through the different floors (levels) of the facility and through the barrel rooms. 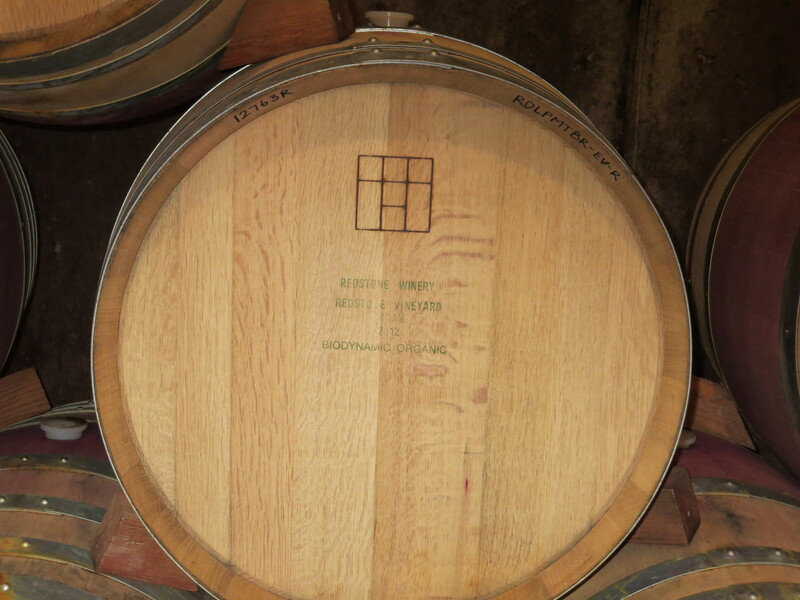 One of the interesting things Bianca pointed out in the barrel room was that each barrel is marked with the vineyard the wine is from (Tawse has a number of different properties and they also get some grapes from other growers). 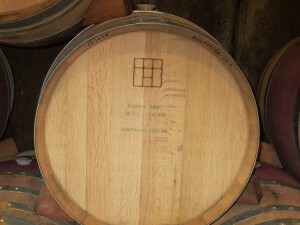 As well, for the wines that are from certified organic vineyards, the barrels are clearly labelled as such. The tour brought us back to the wine boutique for some additional sampling and final questions. After touring and tasting, it’s easy to see why Tawse Winery is so popular and acclaimed.